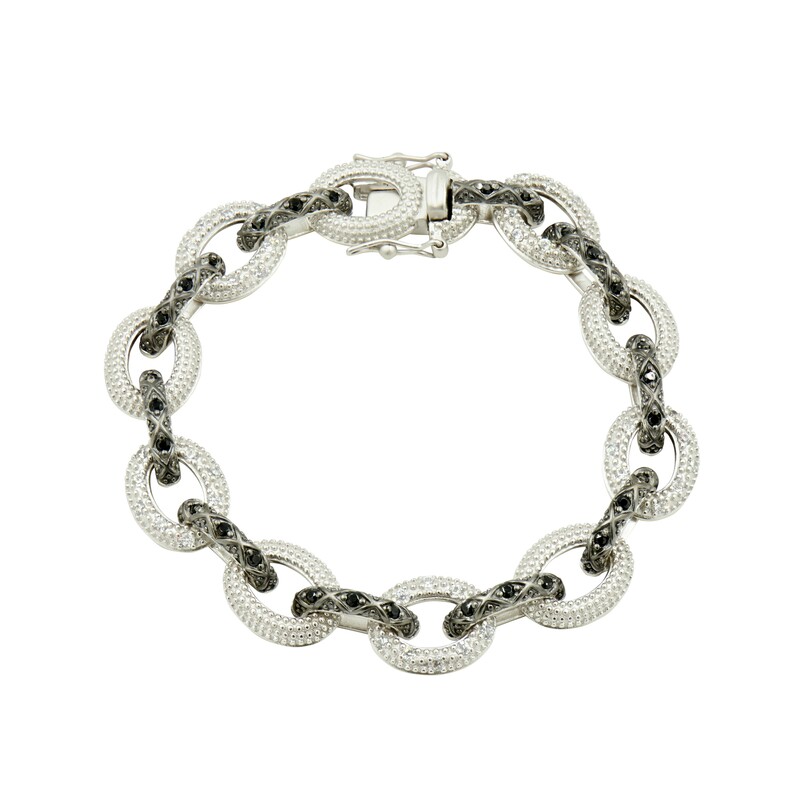 Sterling silver Industrial finish alternating pave large link bracelet. 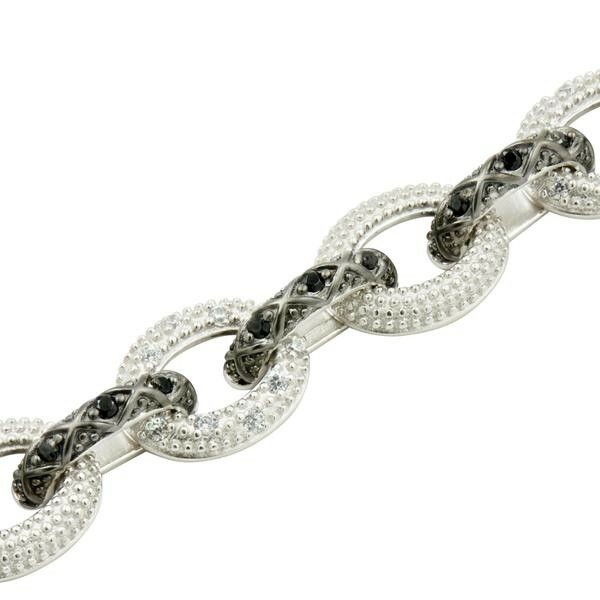 Hand-set with clear cubic zirconia and black cubic zirconia stones. Freida Rothman collection.